I have now owned a 1968 Saab Sonett V4 for one and half week. And I have to say that I am very happy with my purchase. But there are always a few details to improve. At the moment I have laid my eyes on the steering wheel. The car has the 1969 Sonett steering wheel. 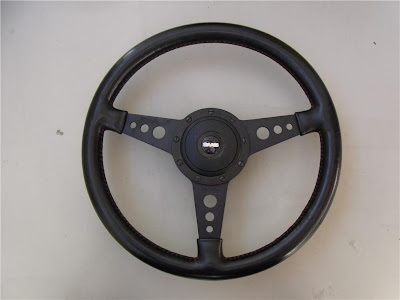 It's a fairly plain black steering wheel. Three black spokes, a black center and black leather imitation. And because of the age and wear, it needs an upgrade. What should I upgrade to? 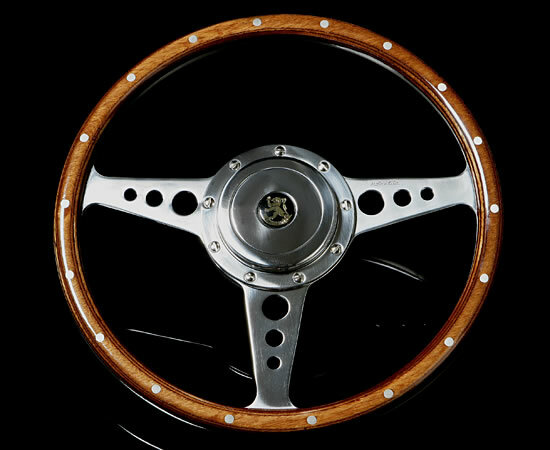 So far I have looked at British Moto-Lita steering wheels, Italian Nardi and the Saab Sport&Rally wheel. The Moto-Lita and Nardi wheels are available in both leather and wood and both black and polished rims. The Saab Sport&Rally is a leather wheel with black rims. So what will be the most fitting to the Sonett interior? I have of course a few opinions of my own, but what do you think? 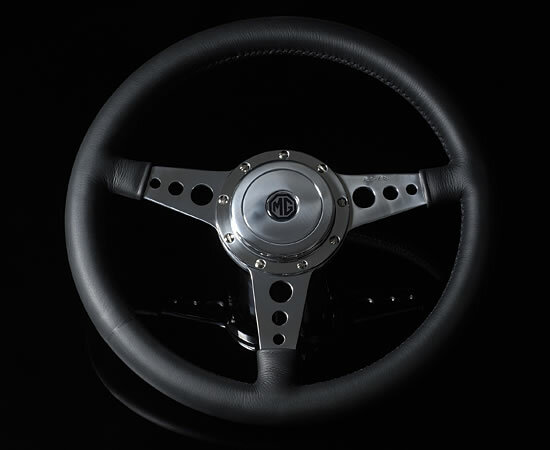 What steering wheel will look the best?